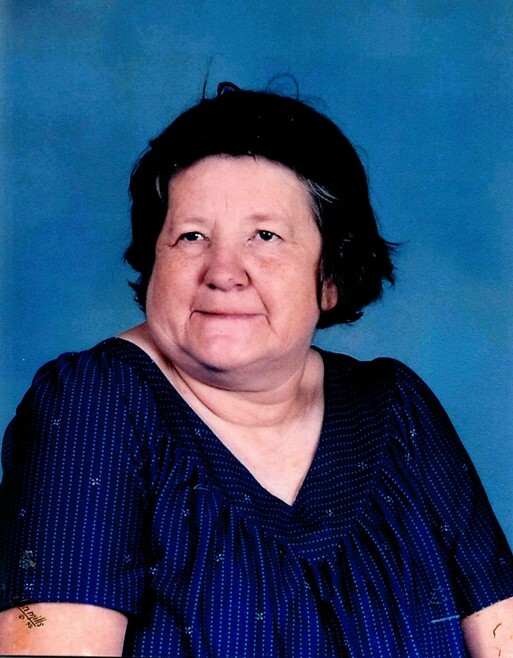 Irene Neva (Worthington) Banks, age 68, of El Dorado Springs, Missouri, went to be with her Savior on January 7, 2014. Irene was born July 13, 1945, in Stockton, Missouri, the daughter of James Worthington and Neva (Simrell Worthington) Rust. She lived in Stockton until she moved to El Dorado Springs, MO. On May 29, 1986, Irene married Richard Banks in El Dorado Springs, MO. He preceded her in death. Also preceding her in death were her parents James and Neva, one brother Lewis Worthington. Irene loved to make baby dolls and baby doll clothes. She loved her family dearly. Survivors include: her three children, Lacel Worthington of Crete, Nebraska, Veda (Worthington) Stone and companion Michael Kordelski of Nevada, MO, and Michelle (Worthington) Mize and husband Darrill of Nevada, MO, four grandchildren, Chris Stone, Stephanie Stone, and Zevin George all of Nevada, MO, and Nathan Stone and wife Sam of Fort Riley Kansas; one great grandchild Elle Stone of Fort Riley Kansas; one brother Amor Worthington and wife Becky of El Dorado Springs, MO; two sisters, Lula Bradley and Dillie Routt both of Nevada, MO; numerous nieces, nephews, and cousins; her best friend (Puddin Head) Haley Williams and all her friends from Rest Haven. The family received friends Friday, January 10, 2014, from 6:00-7:00 p.m. at Bland-Hackleman Funeral Home. Funeral services were held Saturday, January 11, 2014, at 10:00 a.m. at Bland-Hackleman Chapel with Pastor Dana Taylor officiating. Burial followed in Wiley Cemetery under the direction of Bland-Hackleman Funeral Home. Pallbearers were: Darrill Mize, Victor Stone, Michael Kordeleski, Daniel Baxter, James Rector, and Jack Rector. Honorary pallbearers were: Lacel Worthington, Zevin George, Tim Henley, Chris Stone, and Nathan Stone.